You rightfully expect that the insurance company would pay for the medical treatment you need when you get hurt at work. You would also expect that your workers compensation doctor would be the one making decisions about what treatment you need. Unfortunately, you may have to fight for the treatment you need. One of the things that most people get frustrated with in Georgia’s workers compensation cases is the insurance company refusing to pay for a surgery their doctor recommended. Why would the insurance company refuse to approve my surgery? Insurance companies have different reasons that they refuse to pay for surgery. But, the overall reason is probably believing that they save money. Workers compensation insurance companies are businesses. Like most businesses, they are in business to make money. They make money by receiving insurance premiums from employers. Just like you pay an insurance premium on your car or your house, employers pay premiums for workers compensation insurance. This means that the insurance company has to pay out money when you get hurt at work. This costs them money. If they pay out less to somebody when an injury occurs at work, then they make more money. Now, I am not saying that insurance companies are necessarily being unreasonable when they refuse to pay for surgery. But, many of them believe that refusing to authorize treatment saves money. Unfortunately, this means you may have to fight or have someone fight on your behalf to get the treatment you need. What can I do to get my surgery approved by the workers compensation insurance company? Ultimately, the reason the insurance company refuses to approve the surgery may not necessarily matter to you. What matters is that you get the medical treatment you need. 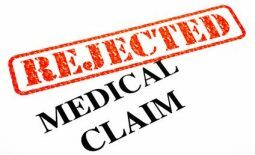 There are several different ways to get approval for a surgery when the insurance company denies it. The best method for getting your surgery approved will depend on the particular facts of your case. The insurance adjuster often has the authority to approve or deny your surgery. Sometimes, insurance adjusters can be persuaded to change their minds and approve a surgery that they have previously denied. The insurance company may just not have a good understanding of what the doctor is recommending, why exactly the surgery is needed, or how the surgery that is needed is related to your injury at work. You or an attorney may have to provide the insurance adjuster with additional information to show the adjuster these things. The insurance adjuster may also want a second opinion with another doctor before approving the surgery. The Form WC-PMT (Petition for Medical Treatment) is a relatively new Georgia State Board of Workers’ Compensation form. It was created to help solve the problem of insurance companies delaying treatment. You have to follow certain rules to file a WC-PMT. But, when a WC-PMT is properly filed, it requires the insurance company to give an answer about whether they are authorizing or denying your treatment. If they do not give an answer, there is a phone call with a workers compensation judge about the recommended medical treatment. The Form WC-205 is an older State Board form. Your workers compensation doctor can use this form to request approval for medical treatment. The advantage of this form is that State Board rules require the insurance company to give an answer within five business days. 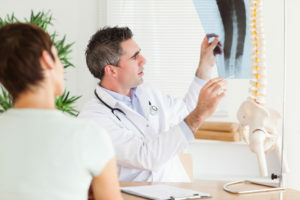 If the doctor’s office follows the rules and the insurance company fails to respond in time, then the medical treatment should be authorized. Another option for getting surgery treatment approved involves getting the issue before a workers compensation judge. 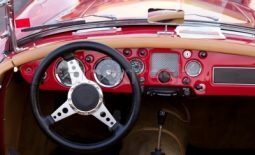 A judge can also get involved through the WC-PMT process mentioned above, but the insurance company can avoid the judge getting involved in that process by authorizing or denying the treatment. Motions or hearing requests can help to get treatment approved. A motion or hearing request can result in an order from the judge approving surgery. Of course, there is no guarantee that the judge rules in your favor. You also have to consider the time it takes to get a ruling on a motion or to receive an award after a hearing. What if I have questions about which method I should use to get approval for surgery? As I mentioned earlier, which method is best will depend on the particular facts of your case. Before picking one, I would recommend that you speak to a workers compensation attorney. This gives you an opportunity to ask questions about your specific case and get those questions answered. My law firm provides free workers compensation case consultations. To set up a consultation, just call our office at (770) 214-8885 or complete and submit this consultation request form.